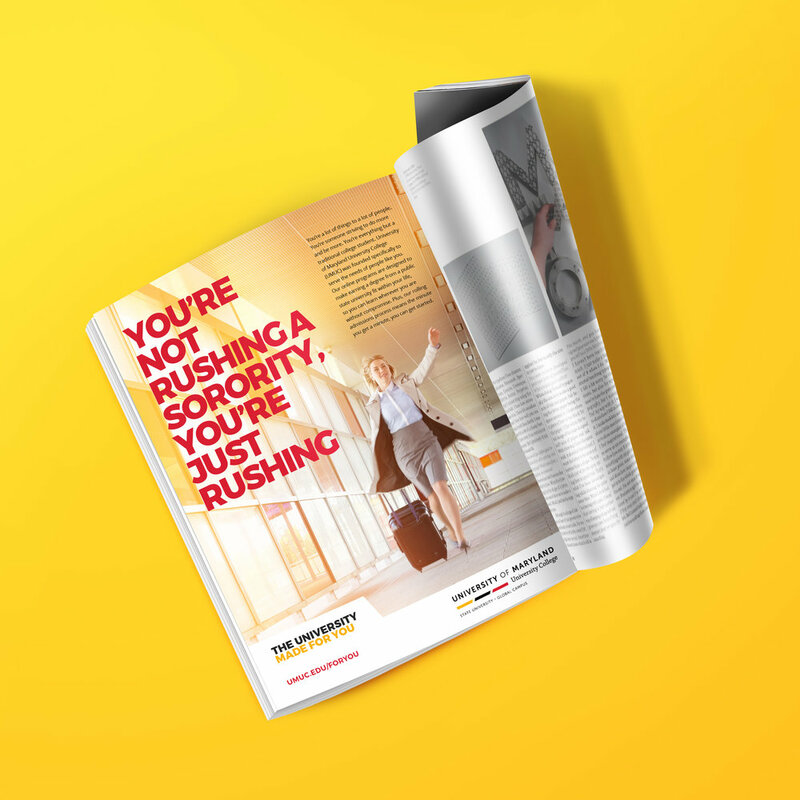 Beating out 4 agencies, my design concept was chosen for University of Maryland University College’s 2018 national launch. I wanted to showcase adult learners in many environments or on the move because adult learners are living life any many ways traditional students don’t have to think about. In addition to going national, UMUC rebranded itself—using colors more indicative of Maryland (red, black, gold and white) to help with recognition in a wider market.